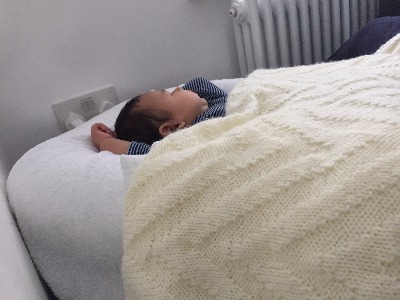 If you are anything like me, then you will have been very hung up on how much your baby sleeps at night, and expect it to get better week by week. But why? Why do we get so fixated on this? BABY BOOKS! So, I thought I’d get organised prior to the little man arriving and read some baby books so I knew what to “expect”. It all seemed quite logical and straightforward, and didn’t seem too bad at all – fab, I knew what to expect……. The above played on my mind for weeks, until I had a little word with myself…..my baby isn’t the same as all babies, and he will do things others don’t and vice versa. As long as he is getting enough sleep and generally happy, surely that’s all that matters? And he’s still technically a NEWBORN, so it was time to stop being so hard on myself and enjoy this time with him rather than comparing him to the ideal from a book. And now? I’m much happier and at 10 weeks have had one night where he did a 7 hour stretch! It hasn’t happened since, but that’s ok, as I don’t have any expectations now. He’ll do what he needs to do! And the result? A much happier mummy! Make sure baby is warm enough. I have found that warming the mattress slightly with a hot water bottle before putting them in helps. 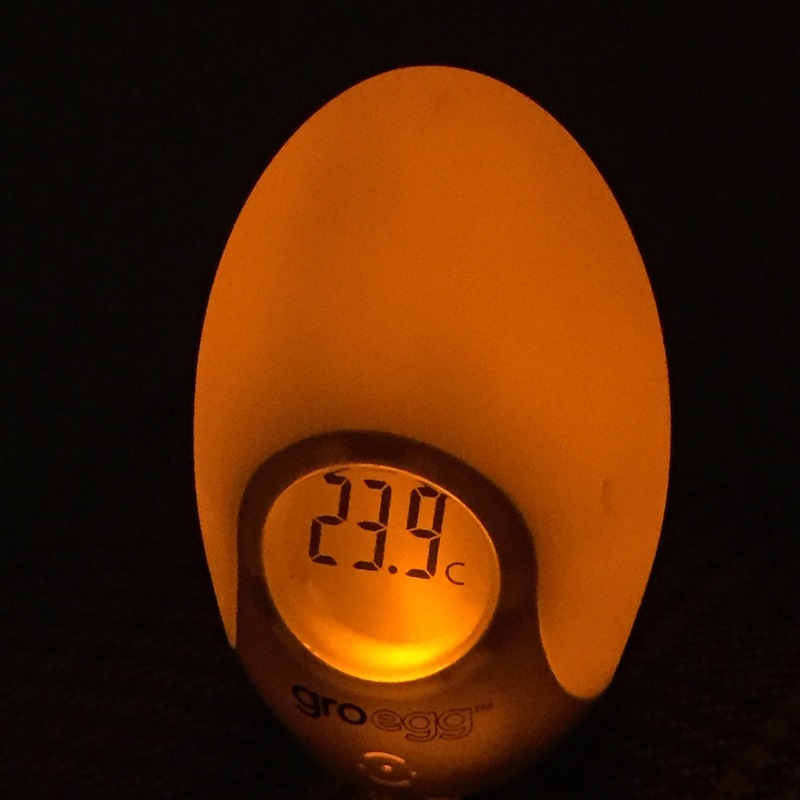 We also have a GROegg which is fab for knowing exactly what is going on and how many covers they need. Ideally yes, baby should go down drowsy. Reality for me is that he either feeds or is rocked to sleep (and right now, I don’t care as it works for me and we are both happy. AND, he’s still a newborn technically!) I have found that a GRObag helps to minimise any unnecessary movements after putting him down. Tucking him in used to wake him up again! In the first few weeks, I found that wrapping a t-shirt that I had worn securely around the mattress of the Moses basket worked a treat in helping get him down. That way, he could still smell me whilst in his basket. Try to have the room as dark as possible! When baby wakes during the night, don’t stimulate them too much. This helps keep them drowsy whilst feeding. However, if they are too drowsy to feed and waking up quickly after, try a nappy change mid feed as this helps to wake them up just a little. I have found the Sleepyhead Deluxe really useful for naps during the day. It keeps baby cocooned nicely and makes them feel snug. Additionally, you can take it with you if staying anywhere which is a bonus! The little man started doing a 4-hour stretch at week 4 and then was waking up every hour thereafter – which made it really difficult for me. So I made sure I was always going to sleep at the same time to get some well needed shut eye. This has now by week 10 slowly increased to a 4-hour stretch followed by 2-3 hour stretches which is much better! And gone are the books, as according to them he should be doing 7 hours every night by now! 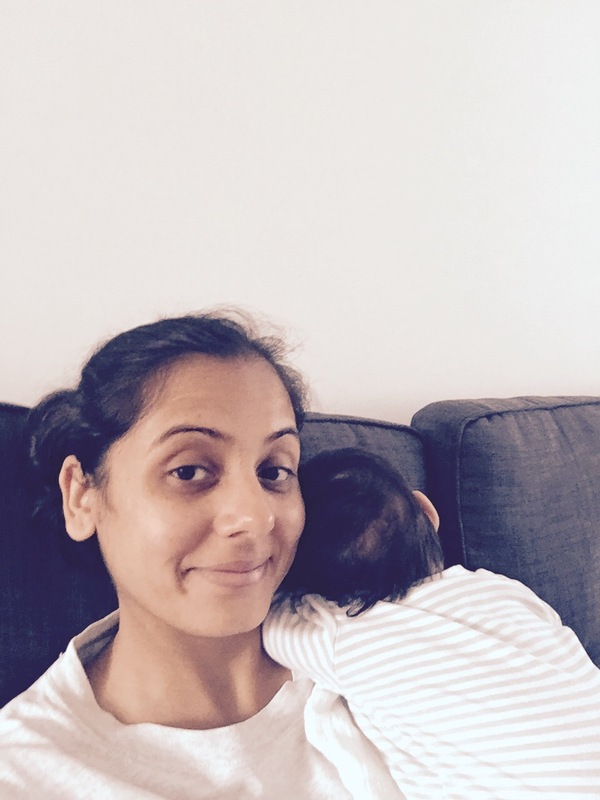 My advice to all new mums? Don’t compare your baby to the ideal baby in those books – as they will do what they need to do to survive. As a result, you will be a much happier mummy and enjoy mummy-baby time much more! And sometimes, you’ll just want to plonk yourself on the sofa and cuddle your baby whilst they sleep – it’s the best thing! ← 10 week old baby, when did that happen? !